The Vienna Gate is part of the Castle District. It's name comes from a road that led to the gate during the Middle Ages. The site of the Saturday Markets, it has also been known as the Saturday Gate. It underwent reconstruction during the 19th Century and, after being demolished in 1896, was rebuilt. 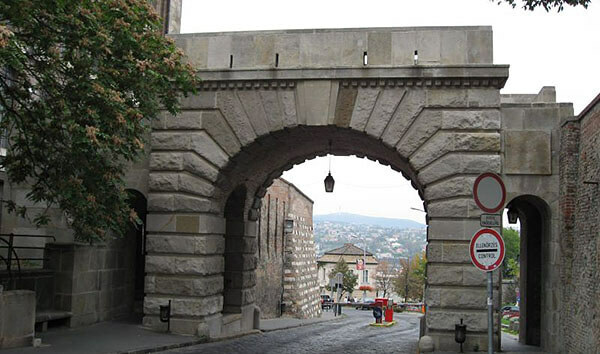 The present design of the gate dates from the 1930s and was built to celebrate the liberation from the Turks two hundred and fifty years before. Located in the 1.district of the city, it has an interesting history from the Middle Ages. Its location is at the northern end of Castle Hill. The four streets that converge form a crossroads; this was where the market for non-Jewish merchants took place every Saturday. Its name in Hungarian is Bécsi Kapu, and it is near the Royal Palace, one of the most popular tourist attractions on Castle Hill. Next to the gate is Vienna Gate Square and the National Archive Building, a huge building with neo-Romanesque architecture, as well as the Lutheran Church. The National Archives holds documents which go back as far as 1526. The Vienna Gate in Budapest is just the beginning of an adventure in the past of Budapest and its intriguing history that dates back to the Middle Ages. Last updated by jack on 02 February, 2014 in Destinations.